…and work well with other industry standards like jQuery etc. In case you have some doubts about my answers above, here an additional note: knockoutJS is basically just a templating engine. It doesn't even provide a real view management, let alone route management or many other things you would need in complex environments.The only reason most Microsofties know about knockoutJS is because it was made by an MS employee and promoted at many MS events. Am I just promoting AngularJS because I'm biased? Absolutely not! We (2sic) started with knockoutJS because we heard of it as Microsoft-events. We actually created some very complex solutions using knockoutJS - including a very powerfull help/faq system. But with time, we had to admit that it's very limited. Then AngularJS documentation finally got good. It was time for us to switch. What about KendoUI or EmberJS? Parts of KendoUI were made open source by telerik - I guess to stay in the market. I believe they are doing an amazing job, and they finally changed their communication to be less Microsoft-focused. So in general, I do believe it has lots of potential since it's a very good product, and it's great that it can be integrated into AngularJS. But in terms of industry-wide-adoption it's too far behind. So if you like it, use it as an AngularJS add-on. EmberJS is also gathering momentum - but nothing compared to AngularJS. I'm convinced it's great - but Angulars Head-start is amazing. Since I have to focus my energies, it's not an option. As you can see - very, very clear. You may have other opinions based on specific needs - that's great. My focus is on making a living based on my work - and this requires a clear future-focused strategy. The same logic that made me chose DNN in 2003 - namely the core question of "what will make it" also defines AngularJS as the one and only clear answer. So even if another framework has some technical superiority - the sheer mass of Angular-believers will ensure that this will be corrected. Why not learn both knockoutJS and AngularJS? If you are working only by yourself and you're good with programming, then your brain can easily handle multiple tools and you may even feel joy in mastering diverse tools and technologies. So you would do this for the heck-of it, not for strategic reasons - go ahead. …which is simply not cost effective, and will also cause lots of problems in the future, when you finally decide to focus on one system, but still have lots of hybrid solutions out there which you must maintain. "Why AngularJS beats the **** out of knockoutJS"
KnockoutJS is just a 2 way data binding library. AngularJS is a complete framework that also includes 2 way data binding. They're not trying to be like each other, so it's not really fair to compare them as such. KendoUI is a JS based visual widgets framework. It's not a framework like the others. It however works with AngularJS. @Brad: I know what you mean. It's just that most developers do their baby-steps with 2-way data-binding, and then try to build on that. And on the other hand if you use angular for 2-way data-binding, there is no more reason to use knockout. Developers/designers who choose KendoUI choose it for its UI widgets, not for the MVVM engine. The engine is like a bonus which comes with the package. 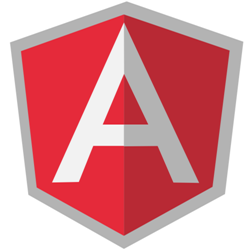 AngularJS plugs the engine's limitations and holes. Great article. We switched from Knockout to Angular about a year ago and haven't looked back since. We spend way less time custom coding like we did in knockout, and more time reviewing different directives to piece together the final product. Knockout is that custom CMS you loved that allowed you to do everything by hand but took ages to get anything done. Angular is more like DNN where you take on the role of more of an integrator. Not saying Angular is so easy you don't need to know how to be a developer, just stating it helps speed the process along greatly once you are over the learning curve. AngularJS 2.0 is coming out in about 13 months. So it's not soon. And it might be a rewrite. Yes, Fragmentation will exist within the AngularJS community when 2.0 launches. Not everyone will be able to immediately move over to 2.0 and it will take time before 3rd party controls get ported. I hope it's worth it when it gets here, but large projects are not likely going to be able to port over to 2.0, at least not without a major effort. So, Angular 1.3 apps will be around for years to come. + AngularJS 2 won't run on current browsers (http://angularjs.blogspot.ch/2014/03/angular-20.html). So basically it won't catch on for a while. I don't know about the front-end of evoq 8 - but I did hear the knockout rumor. Will DNN focus on knockout? Here's my guess: up until a few month ago, the entire microsoft-world tried to ignore the "dark-side" believing that it can be done in an MS-style. Knockout was heavily preached at all MS events while AngularJS was "ignored". So much of the MS-world focused on knockout because it does data-binding. And to be honest, we (2sic) too went that way for about a year - till we realized that data-binding is only a subset of the problems - and knockout doesn't have a solution for all the other problems. So my guess is that the current UI was started 1-2 years ago - when MS was still preaching knockout. Is it final? about as final as anything online - so not final at all :). We (2sic) created some very complex solutions in knockout and for a long time believed it would scale sufficiently. But in hindsight (always easy) it turns out we spent about half of our time inventing solutions for problems that AngularJS already solves :). My guess is that's the learning curve every organization goes through. Knockout is a small library built for a specific need. I'd happily use it in a small project. Something huge and complex is a different beast which would require a different tool. I wouldn't try and colour a wall with a crayon. @everybody please keep in mind that this post is from 2014, as is the link posted by gus about .../leaving-angular/ - so this is over 2 years old. @gus the link you posted http://eisenbergeffect.bluespire.com/leaving-angular/ shows that Durandal (another JS framework) decided to do it's own thing and not refactor itself away (and become angular 2) in 2014. I believe from his point of view and for what the Durandal JS framework is trying to provide (basically knockoutJS++) this is a good idea, akin to continue creating bicycles instead of moving on to building motorcycles. Keep it simple for simple use cases. And I do agree that simpler use cases can often be handled by simpler tools - and are often the easier way to get started. @Daniel - So you'll be advocating Angular 2 sometime soon and 2sxc will be rewritten in Angular 2.. Ya? :) Or still sticking with Angular 1? Interesting that Rob Eisenberg (Creator of Durandal and Aurelia) joined Microsoft. I heard Aurelia is a good JS Framework but Angular 2 and React are burying it in their noise. These are times of huge transition. For now I am really loathe to throw myself into Angular 2. I guess because some time back when I wanted to get into it the docs were awful and I ended up giving it a miss. Ever since I've been looking for something else. Just the other day I came across this: https://www.dotvvm.com/. Now here is something I can use. In short, it's a framework that does all the front end js for you using Knockout. All you have to do is build view models and markup files. All the binding and js is handled for you. It's very neat. Am just putting together a simple example app to get into it and so far the experience has been a joy. @Tony As you are guessing things are always a bit more complex. So the short answer is: yes, we will migrate to Angular2. The longer answer is that large solutions (like 2sxc) have 2 large challenges 1) many dependencies like formly or angular-translate aren't migrated yet and 2) large solutions are much harder to migrate. So our path is: first create smaller, low-risk solutions for customers based on angular 2 and provide an angular2 API for 2sxc apps. At the same time, refactor 2sxc to using Components which were back-introduced into angular 1.5, making us better prepared for the switch. Then we'll probably switch - timeline probably ca. 12 months. But: at the same time we want to support developers who want to create 2sxc-apps using any of these techs - incl. React/Flux, Angular2, Aurelia etc. So at the 2sxc-app level, we want to be framework agnostic, the core issue is that we need people who help create the client side demos. So it's ongoing. What's your preference? Want to take over a client-side framework implementation? I am actually not doing anything with DNN these days. @Gus Beare I don't know why I got a comment notification about your 11/15 comment today. I recommend you listen to this podcast: http://dotnetrocks.com/?show=1366. Ward Bell talks about his team building the docs for Angular 2. One interesting point he mentioned is that the examples in the docs use live code. This means if there's a new version of Angular2 with breaking changes and it breaks an example, the example won't run and someone will be notified. The docs are pretty good. They have an example on how to get started using Visual Studio 2015. A very useful one which I couldn't find anywhere else. So don't judge Angular 2 docs by Angular 1 docs. EVERYTHING is different about Angular 2, including the docs. I am trying to force myself to learn and like Angular 2. As someone who doesn't know Angular 1, there's so much to learn. I am not particularly happy that I have to learn all the tools and dependencies that go into using Angular 2. Plus learning Typescript. It's a big jump from using plain vanilla JS and jQuery. I am learning ng2 because employers expect developers who do front end development to know it. So I have to compete with other developers who know ng1 or ng2. I don't have my own development shop where I can use whatever I like. It's the same reason I don't use Aurelia and any less popular JS frameworks. They are not used at companies. It's Angular or React. They don't care about other frameworks regardless of what I personally prefer. I have to follow the herd and the current trend. I don't like this but that's life. Gus, yes dotvvm seems really great! Have you any integration example of it with with DNN modules? I think it's possible but for me the work in DNN dried up and ironically I ended up with a new client and a large angularJS project to get stuck into. So I never need that. I lot has changed. I wouldn't chose angularjs for a new project now I think I'd go with vue.js instead of angular 2. But you have to follow the work..